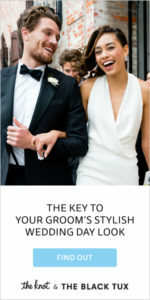 Traditionally, buying an engagement ring has always been the job of the male partner in a relationship. 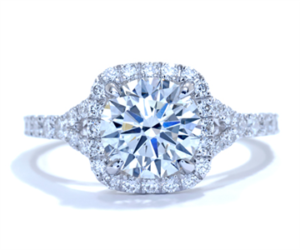 But recently, more and more women are taking to selecting their own engagement rings, with some even going so far as to pay half towards the cost of this milestone jewelry piece. Whilst being surprised with an engagement ring by your partner can certainly be a lovely moment, more and more women are realizing that selecting their own engagement ring can definitely be an easier and more practical option. Although you can hint and hint at your man about the type of ring that you’d like, there’s always the chance that he’ll come back with a ring that you would never have chosen yourself. And, although many women actually love their surprise ring even if it’s something that they would have walked straight past in the shop, many prefer to be sure that they’re going to love their ring by selecting it themselves. After all, if something is going to be on your finger for the rest of your life, it’s important that you like it! It is hard to get a custom made ring unless that person is there to tell you exactly what they want their ring to look like and to get measurements. With more and more brides to be going for custom made engagement rings – click the link for more information – it makes sense that they are there when the ring is being chosen as they can give their input as to the type of ring that they would like and their own personal preferences for jewelry. This is especially important if the bride has any allergies to certain metals, and needs a ring which is custom made in order to ensure that it is hypoallergenic and won’t set off a bad skin reaction. With gender roles virtually non-existent these days, there is no need for the man to foot the cost of the engagement ring, unlike in the past where it was more likely for a male to have a job or career which would allow him to afford an expensive jewelry piece, whereas ladies would stay at home. Because of this, more and more couples are splitting the cost of the engagement ring between the two of them, with an increasing number of families where both partners work full-time and earn a livable wage each. Alternately, some couples are choosing to each buy the other an engagement ring. Last but not least, many women are choosing to take part in selecting their own engagement ring because it can be quite romantic. Going ring-shopping can be a great way to spend time together and get excited about your recent proposal and upcoming wedding. Rather than leaving the male partner to do the work all on his own, selecting the ring together can help you to bond even more as a couple. Would you select your own engagement ring? Let us know in the comments.